Originally known as Mambo PHP Shop, it initially started off as an e-commerce component for Mambo content management system as such. Post integrating Mambo into Joomla, this CMS has been renamed into Virtue mart. It has now grown to function as an e-commerce extension of Joomla Content Management System. The most attractive features of Virtual Mart are the template overwriting facility, application of Joomla plugins for payment, shipment etc; it brings about an easy installation of other Joomla extensions. Once Joomla gained popularity as a content management system, Virtual Mart also became the most sought after overall e commerce application. There is now an increased demand for PSD to Virtual Mart conversion service providers. Do have a look at the next tab-features. At XHTML Champs we offer perfect conversion codes that ensure light weight and fast loading website. At the same time we deliver customized templates which make your site stand out. The templates will be as per the norms of standards followed by W3C and CSS. We provide a complete installation guide to ease up the process of installation. Complete technical support at no extra cost for 30 days. Perfect coding to make the site search engine friendly. With all these features you may be rest assured on a world class website. These features will serve the purpose of a guide in your search for the right PSD to Virtual Mart conversion service provider. The next tab will elaborate a little more. Latest and sophisticated technology available with us helps work towards perfection and precision in all the projects we undertake. We do not compromise on quality under any circumstance. Stringent quality control measures adopted will ensure a high quality delivery that can match with the international norms. Module Development When the programs are different, we can help you with most suitable modules to run the same. Up-gradation ServicesAn up-gradation of website is quite useless if it has not been done on time. Here is the importance of prompt service. Maintenance & Support Regular maintenance is must for e-commerce websites and we at XHTML Champs offers the same for a reasonable price. 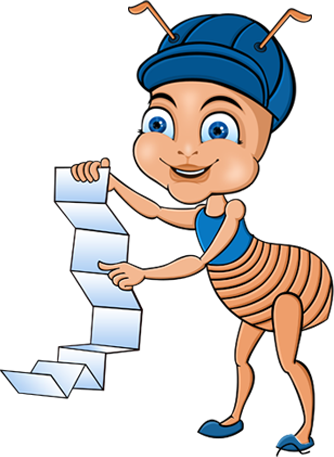 Experts in Bug FixingBugs cannot be avoided due to different reasons, but can be fixed without making much trouble to you. Search Engine Optimization Self explanatory in terms of class names and ID names. VirtueMart is an Open Source E-Commerce solution (a Component or Plug-in) for the Joomla! Content Management System. It can be run as a Shopping Cart, or in Catalog mode.You need to install Joomla! first (as the "Framework"), and then install & configure VirtueMart. Does the theme work in my language as well? 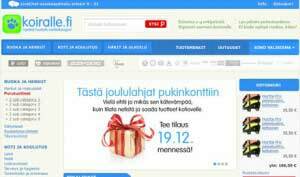 The theme works in all languages supported by VirtueMart. Can application for my store have custom design? Yes, we'll provide custom design for each new store we integrate. User friendly Virtue mart E-Commerce solutions have certainly gained popularity over a short period. We all are surviving in a cut throat E-Commerce environment; where the difference in each ecommerce site will certainly be the experience it provides. This in turn will depend on the type of ecommerce application used and that service provider who does your conversion service. At XHTMLchamps we are a bunch of thorough professionals who are highly efficient in Virtuemart installation, configuration and implementation; we offer you a world class quality work within a committed period at an affordable cost. Perfect customization and integration, the most important one among web services is one of our unique features. When the programs are different, we can help you with most suitable modules to run the same. An up-gradation of website is quite useless if it has not been done on time. Here is the importance of prompt service. With advancements in technology and increased activities on your website; there arises a need for an upgrade of CMS in your website .user focus completely shifts focus on the experience derived from ecommerce websites and thus they launch a constant search for websites that offer more features and are to date with technology. Our team at XHTML Champs will be able to foresee a need for up-grading your virtue mart website from not only from a lower version to higher version, but also to convert other CMS to Virtue Mart. If you are already using Virtue Mart, Virtue Mart Up-grades can be done effectively with us at XHTML Champs. We can help you with Virtue Mart migration too. Proper maintenance of a website is more important as far as e-commerce is concerned and there XHTML Champs is a cut above the rest. Hand in hand with setting up E-commerce websites you will need to carry out timely up-gradation and regular maintenance as well. This will include necessary changes to be made in the content of your website so as to project latest offers, prices or just about having introduced any change in your business. A customer is automatically informed about changes in business via the website. Our team can carry out Virtue Mart Stores maintenance so as to fulfill all of that mentioned above. We maintain the website to the complete satisfaction of your customers, thereby enhancing the prospects of your business and an increase of your customer base. Bugs cannot be avoided due to different reasons, but can be fixed without making much trouble to you. Bugs or certain mal functions arise with increased use of complicated programs and introduction of newer modules into the existing CMS. Bug fixing needs a lot of expertise and a thorough knowledge of complete CMS. They also demand a great level of experience for faster detection and repair. Experts at XHTML Champs are well trained and highly experienced in bug fixing. We can trace and carry out modification as fast as we trace them. With respect to Virtue Mart bug fixing, our experience is vast having dealt with multiple clients who use Virtuemart E-commerce sites. Our 24 hour availability and the prompt service has indeed made us the hot favorite among many web owners around the globe. We follow certain ethics while doing SEO. We never rely on shortcuts which produce short term results. We are looking for long lasting results. Though different search engines have different algorithms or systems that are implemented once a search is launched, however there are many common criteria in optimizing a website among all of them. We would match your website with those criteria accordingly and optimize your site. Have a look at the following ? Content Optimization: This will be done by posting expressive contents with keywords those are generally used by the searchers while searching for websites of your category. Here we maintain keyword density as per the standards. With Virtue Mart websites, Virtue mart Load Optimization becomes necessary. Virtual Mart SEO is our area of excellence and you may be rest assured on our services on the same. Mobile compatibility to enable the visitors to use any mobile device for browsing. Business is carried out in e commerce websites on the go, given the advent of smart phones and smaller internet based devices. With the advanced technology browsing is as effective in mobile devices such as smart phone, mobile phone, Black Berry, I phone, I pad, Tablet, notebook etc as on a desk or a laptop. Since the screen is smaller in size, the focus is now to design and develop themes to suit all types of screens. However using two different themes for general browsing and mobile browsing is not feasible. And hence the importance of theme compatibility arises. XHTML Champs we are well experienced in developing mobile compatible themes which can be used in any type of screen. Virtue mart Mobile compatibility is therefore essential and you have reached just the place that can carry it out for you!